Thanks to commenter Marcus for the tip. bull! bull! bull! bull! BULL!! BULL!! BULL!! BULL!! WAR EAGLE!!!! kickoff in ~700 hours. Bates not biceps is keeping the bull off the field right now, lol. The kid was a “two” star that I think was going to our first opponent (Ark. St.), got to fall camp a day late, and he’s been on the field every since. Did you see some of the hits he made? I know on one he sent Dexter McClusky to the locker room. He also made the first interception of the season (the record breaking 93 yard bomb to Tzac came shortly). A good friend of mine #31 AT, Antarrious Williams of 04-05 fame, came to Auburn as a safety first. Before the ’04 season he didn’t know where he would play. 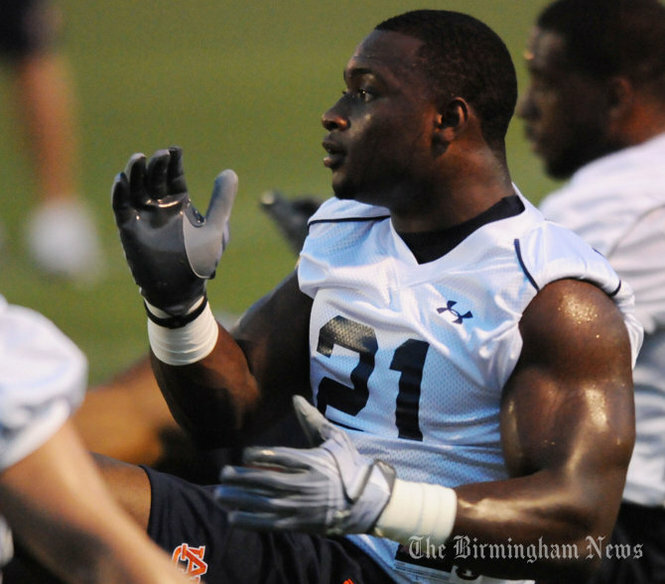 Chizik likes fast LBs. I think Bates is the same way. At least I hope, lol. War Eagle. wasn’t dansby a corner or safety his first year? he ended up being one of my all-time favorite auburn monsters. i’ve never understood why we don’t see more of the clip of him diving out of bounds to tip that errant pass back in bounds for a teammate to intercept, like a basketball save. was that against north carolina? am i making it all up? is that you, john wayne? is this me? wow. was just googling it to make sure i wasn’t crazy – i had no idea dansby was a dolphin now. and tubs said ray lewis came to miami as a safety. crazy. Dansby originally came to Auburn as a WR, but Tubbs switched him to LB, and the rest is history. IMO, the best LB I’ve seen at AU in my 28 years. My friend named one of her Boxer dogs ‘Dansby’. However, Auburn’s best LB of all time was Freddie Smith [one million tackles]. I truly enjoy looking at on this internet site , it holds superb posts . “He who sees the truth, let him proclaim it, without asking who is for it or who is against it.” by Henry George.